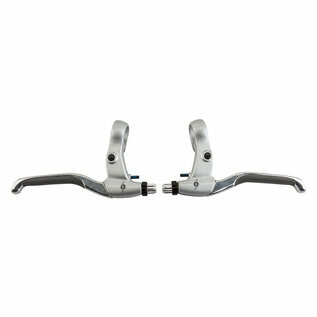 Great for V-brakes or disc brakes. All aluminum alloy with Kraton grip insert. Reach adjustment and cable barrel adjustment.